Ireland face Afghanistan at Bready in three T20 internationals on Monday August 20, Wednesday August 22 and Friday August 24 but local fans have been critical of the marketing of the fixtures with the low key build up also upsetting the North West Cricket Union. Next week will be the national side’s first competitive game in the North West since acquiring Test status some 15 months ago - an occasion many believe merits a more meaningful ‘drum-roll’ than it has received from Cricket Ireland. “Exclusively from a PR perspective, the promotion to date has been very poor,” stated Lawrence Moore, North West Cricket Public Relations Officer. “Through a lot of hard work, we have developed very good relationships with press and media outlets across the North West over a long period of time and yet none of these were ever engaged. “There is still a week to go and the damage is far from irreparable but, to date, there has been very little tangible evidence of any significant promotional campaign. “This series is a huge deal to the NWCU. If nothing else comes out of this, at least people will now know that Ireland are playing Afghanistan in three T20 International matches next Monday, Wednesday and Friday afternoons. 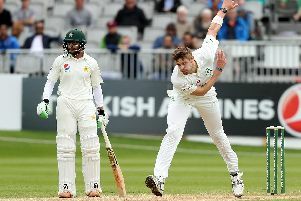 In response, Dennis Cousins, Commercial Director at Cricket Ireland, defended the Union’s handling of the Series’ promotion. 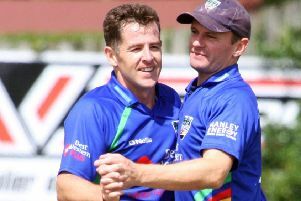 “The highly-anticipated Afghanistan series, a clash between the two newest full member nations, is one that Cricket Ireland has been promoting and rolling-out support for over several months. “The radio campaign alone is the most comprehensive we’ve ever undertaken in Northern Ireland - and exceeds previous radio campaigns we undertook around the West Indies in 2017 and Australia in 2015. Through a radio partnership with Downtown and Downtown Country in NW, and Cool FM in the NCU region, we are rolling out advertisements, outside broadcast opportunities and ticket giveaways. “We are additionally exploring advertising opportunities through our partnership with the Sunday Independent and local press. “Cricket Ireland digital channels have carried promotion of the series since July, after the completion of the India T20 series, and this has included designed graphic promotions across our website and social media channels. “Prior to this Cricket Ireland utilised other events as a vehicle to promote the series, including content in the Ireland versus India T20 match programme and on LED signage around the ground during those matches which reached a global TV audience of many millions. “There have been several media pieces and interviews undertaken, some already appeared, some soon to appear – as well as upcoming promotional opportunities with both media in Ireland and Northern Ireland. “In terms of broadcast, we are shortly to release an updated list of broadcast arrangements for the matches, which will include how our domestic audiences in Ireland and the UK will be able to follow the series.